Baby Bump. Did you know... Pregnancy is not an illness but it's very important to milk it for all it's worth. Enjoy! Baby Bump. 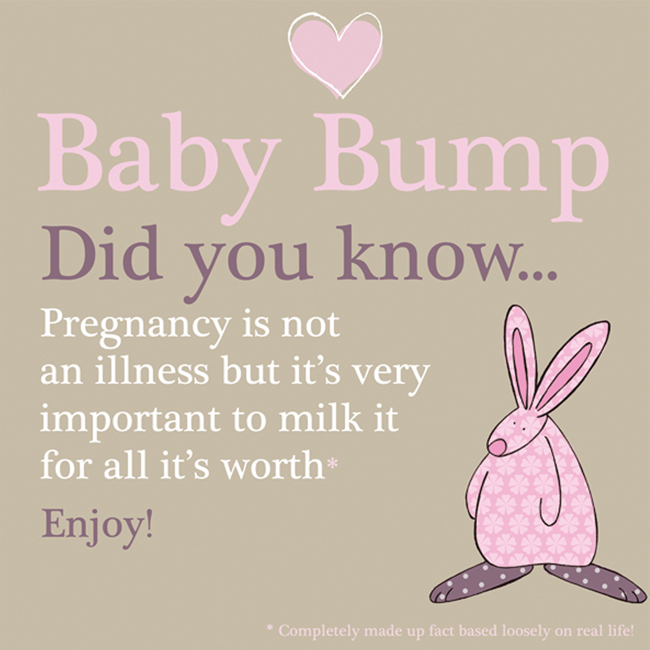 Did you know… Pregnancy is not an illness but it’s very important to milk it for all it’s worth. Enjoy!